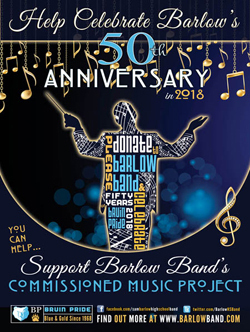 In 2018 Sam Barlow will be celebrating its 50th Anniversary, and to commemorate the event, we as a band program are commissioning composer Kevin M. Walczyk to write a piece for our school. It will be a celebratory work incorporating themes and ideas unique to our school. 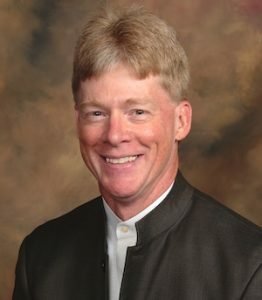 A native of Portland Oregon, Kevin Walczyk received a Bachelor of Arts in Education degree from Pacific Lutheran University in 1987 and the Master of Music and Doctor of Musical Arts degrees from the University of North Texas where he was the recipient of the Hexter Prize for outstanding graduate student. 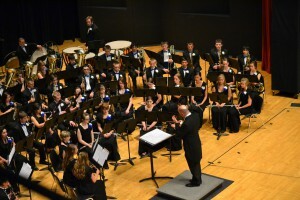 Walczyk’s principal composition instructors have included Larry Austin, Jacob Avshalomov, Thomas Clark, Martin Mailman, and Cindy McTee. As an accomplished jazz arranger and composer, Walczyk refined his craft with prominent jazz arrangers Tom Kubis and Frank Mantooth, and served as arranger for the renowned University of North Texas One O’clock Lab Band (1988-89). 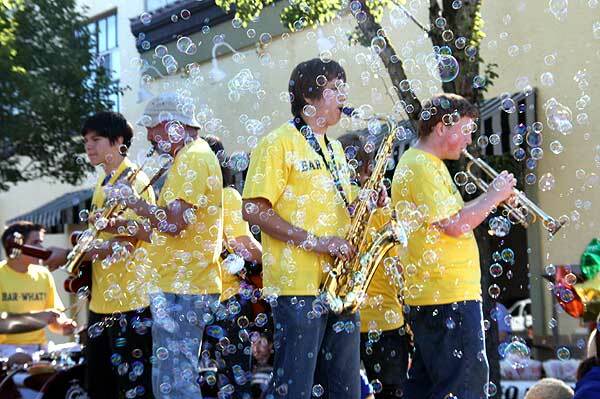 Walczyk is currently Professor of music at Western Oregon University in Monmouth, Oregon where he teaches composition, orchestration, jazz arranging, film scoring, media production, and serves as the Graduate Music Coordinator. More here.